In a few days, Boston will welcome the 2nd Dassault Systèmes Megatrend Event of 2016. 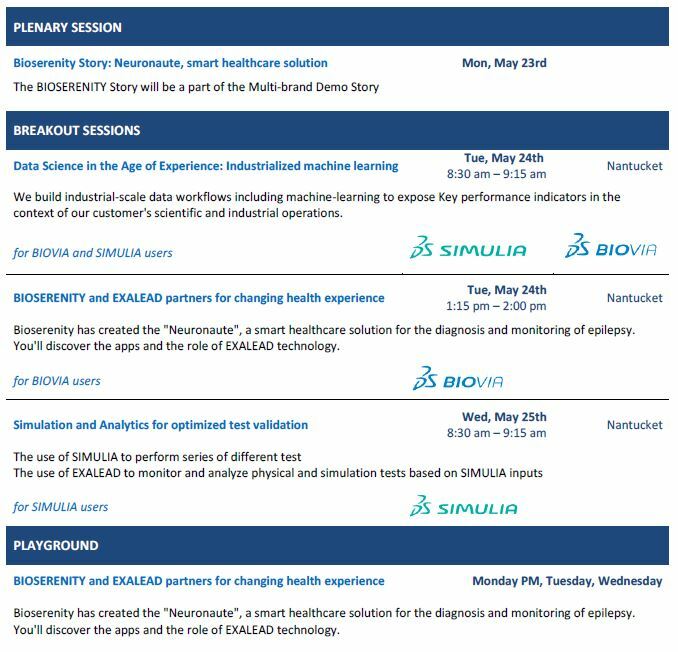 SIMULIA is teaming with BIOVIA, but also CATIA, SOLIDWORKS, EXALEAD and ENOVIA to present Science in the Age of Experience – a conference that features an expanded simulation program, as well as significant new content. Dassault Systèmes ambition is to harmonize Product, Nature and Life. While rules based simulation had been serving to « model » the world of goods for many years, when it comes to modeling nature, it has to be made by observation. And when what is being observed is nature … this is at the edge of BIG DATA & DATA SCIENCE.